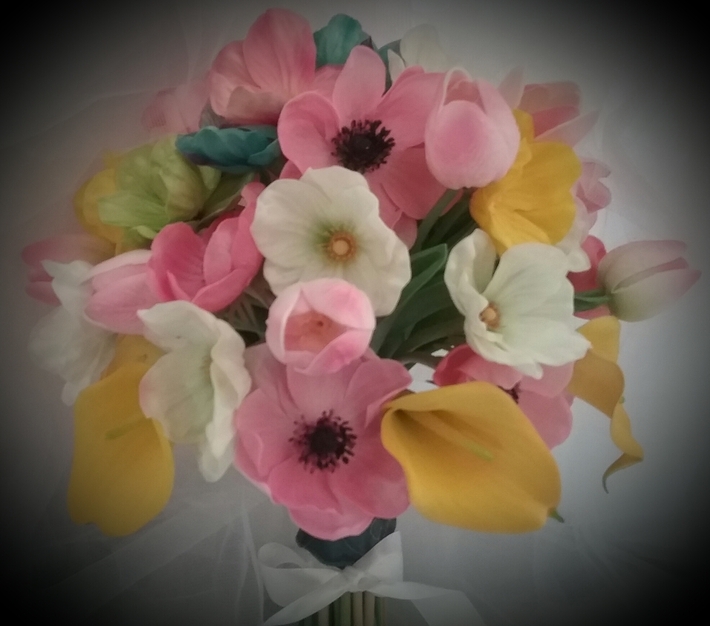 Pretty in Pink Cascade Bouquet...pretty in any color you love too! Congratulations on your upcoming Wedding. 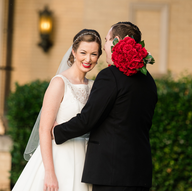 This is such an exciting time of your life but that excitement can sometimes be overshadowed by the outrageous cost of floral arrangements and bouquets for your Special Day. We have delveloped and designed a line of high-end looking, up- to -date styles as well as tradional bouquets and centerpieces, keeping costs low without skimping on quality. We do this by using al high quality real Feel (Touch), real Look faux flowers and of course, fresh quality flowers as well.. Please DON'T get turned off by the term faux or artificial flowers....these are not your Granny's cheap, dusty, raggedly silk flowers. Real Feel, Real Look flowers are so realistic looking that even your local florist may be fooled. Many of them are made of a latex or PU compound that makes them so realistic looking. When you touch the roses, the lillies or the hydrangeas and many other flowers , you will be shocked to learn that they are not real. They come in many varieties, including sunflowers, calla lillies, tulips, peonies, orchids, poppies, anemones, gerbera daisies and more. Combined with the best silk filler foliage, our bouquets and centerpieces are as realistic as fresh flowers. On close examination, you and your wedding guests will never suspect that they are faux. Perfect for Destination Weddings, these flowers stand up well to all kinds of temperatures and when packed for travel to your destination venue, they will not wilt or crush. Only want REAL , FRESH FLOWERS? That's fantastic too, because if you live in the NY, NJ area, floral arrangements and bouquets made with best quality flowers are available. Contact us for further details about the availability of fresh flowers in your area. 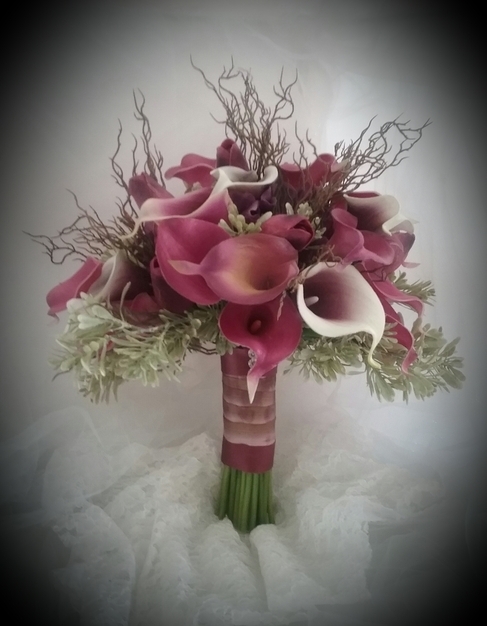 Our passion and goal is to create beautiful floral designs. Keeping within your budget and providing extra special personal attention will be our focus, but gorgeous florals of your Wedding Day Dreams will be the results. Carolyn studied floral design at Molly College in association with 1-800-flowers in Nassau, NY. She also attended floral design workshops given by one of NYC's premiere floral designers and author, Michael Gaffney. 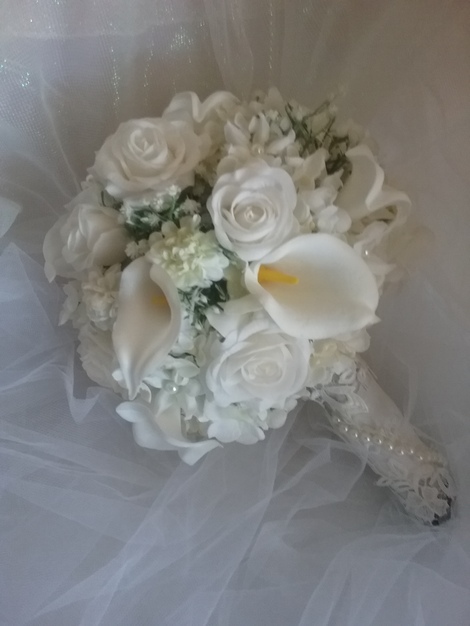 Carolyn' keepsake Bouquets has been in business on line and in person since 2015 and has a 5 star rating on Etsy as well as here on Wedding.com..
Jacqueline of "As You Wish" floral designs is located in Warwick, New York. 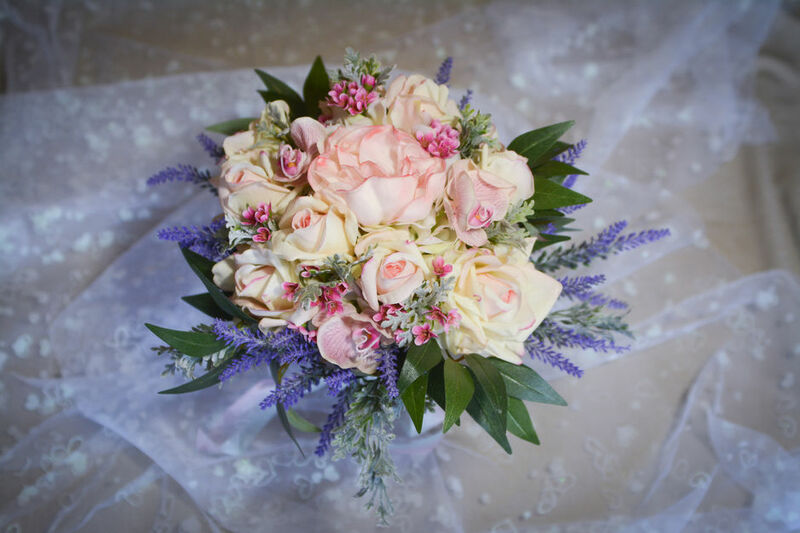 With more than 30 years of all aspects of floral designing, Jacqueline has the experience, the skills and the knowledge to create your wedding flowers using the freshest flowers and latest techniques and designs. . "As You Wish" is not just for weddings. Jacqueline can design floral arrangements for bridal showers, engagement celebrations, anniversaries and all occasions. Consultations are always free and we will be more than happy to answer any questions you may have. So give Carolyn 's real feel, real Look flowers a chance to show you how beautiful they are. 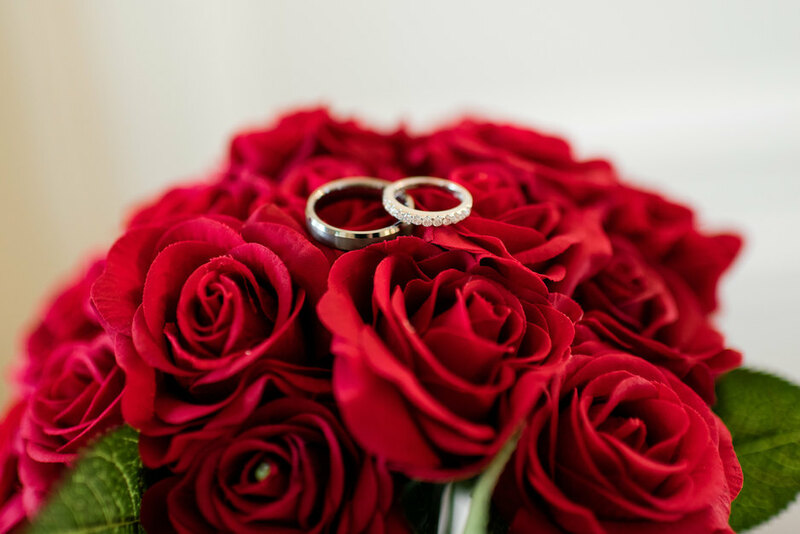 You will be pleasantly surprised and best yet, you will have beautiful floral arrangements and bouquets on your Wedding Day and still be able to save lots of money to put to use for other aspects of your wedding. 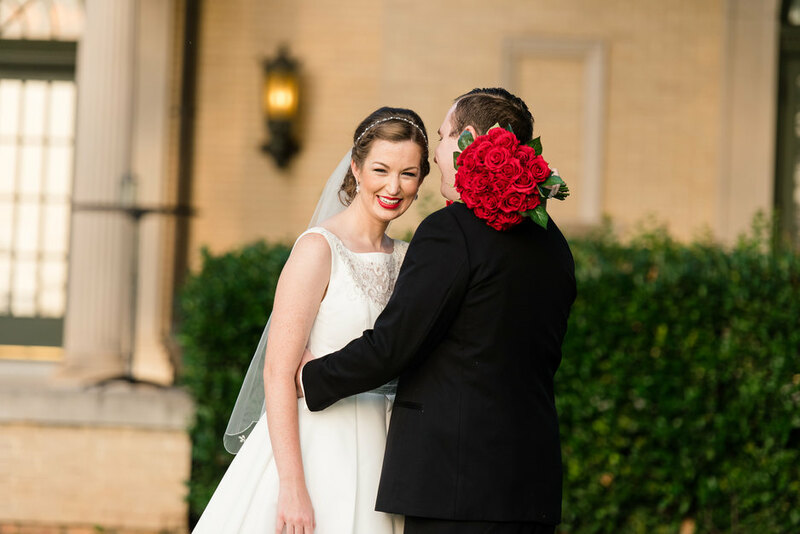 If fresh flowers are your choice, then Jacqueline of " As You Wish Flowers" will make all of your Wedding Day wishes come true! 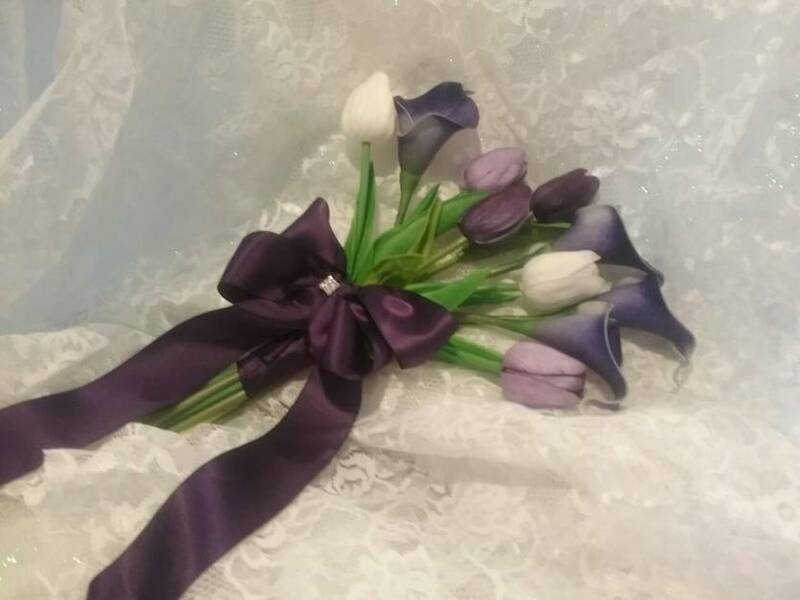 Budget friendly ideas with personal touches and attention is always included free of charge and come with a big smile and friendly atmosphere at As You Wish Flowers. Faux, fresh or a mix of both...the choice of florals with exquisite designs is yours to consider. Your savings will be big and your Wedding Day will be filled with the flowers of your Dreams! 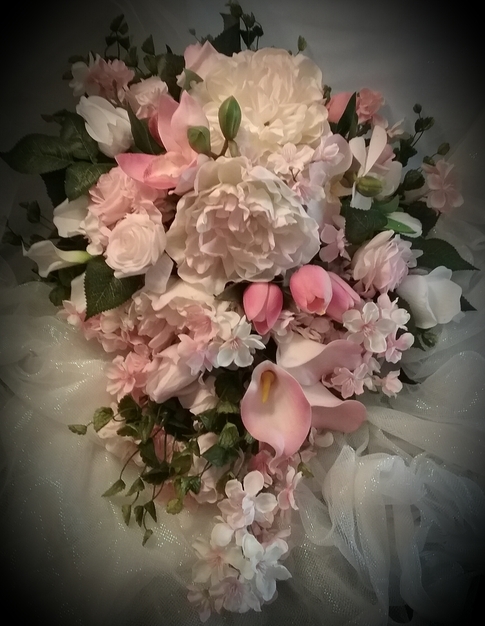 At Carolyn's keepsake Bouquets...No need to spend over your budget. My floral arrangements whether with fresh flowers, faux or a combination of both real and fau are economical and will fit into any budget. 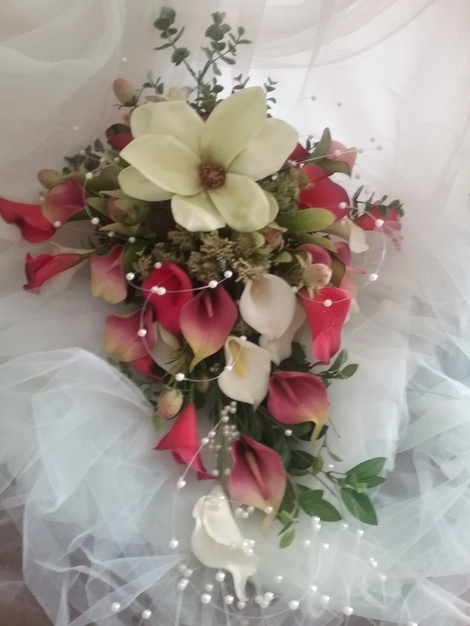 Many beautifully arranged bridal bouquets and centerpieces using my unique designs or your own ideas. Never an extra charge for custom designs. Found a picture of your ideal bouquet or centerpiece? Just send me the picture and I will copy the bouquet or arrangement or you. Need a bouquet in a hurry? No problem. We specialize in last minute arrangements. 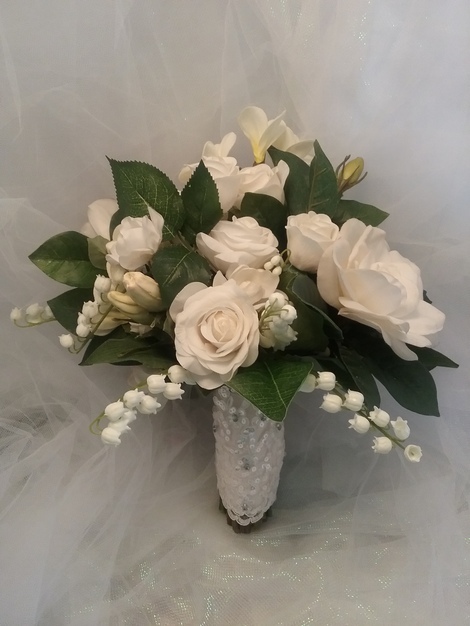 REAL FEEL, REAL LOOK FLOWERS....the PERFECT alternative to fresh flowers.. Fresh also available are available for delivery and set up to Venues within 50 miles of zip code 11710 (Bellmore, LI, NY where my shop is located) for a very reasonable fee. Lower than most local florists. TABLESCAPES....Now you can save even more on your wedding budget by RENTING your centerpieces and table decor. 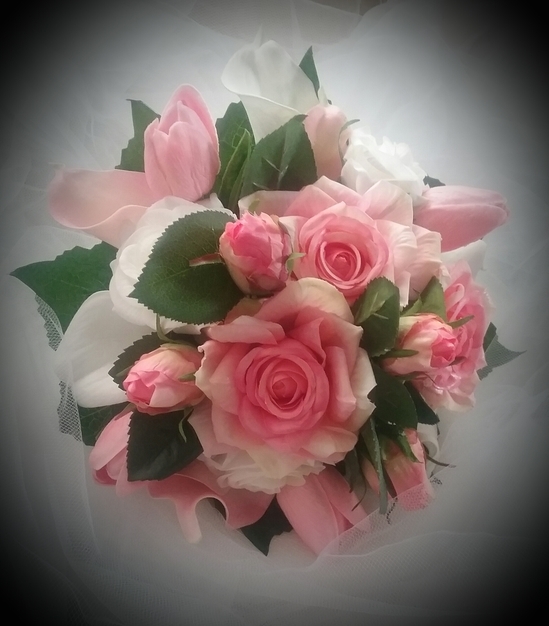 Check out some of my introductory offers on facebook/Carolyn's keepsake Bouquets. Set ups start at $35 & up per table with free delivery , set up and return within a 15 mile radius of 11710. Small delivery fee for other areas throughout Nassau, Suffolk and Queens. Service limited to commercial venues only (no home delivery...only customer pick up & customer return available for home parties). We will deliver and set up venues within 50 miles from zip 11710 for a fee which depends on distance and number of tables. Contact me for further information. 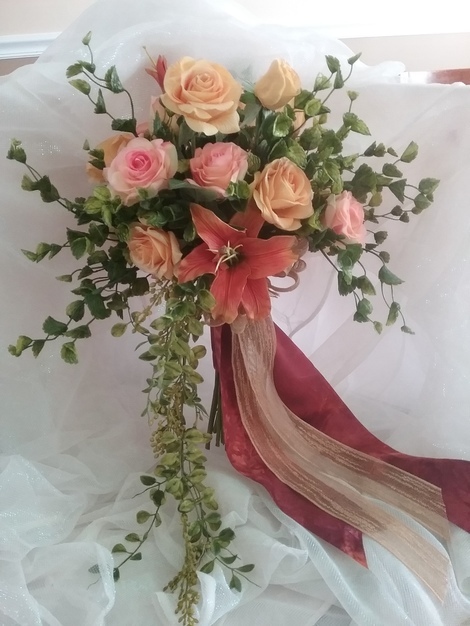 COMPLETE Wedding Party Bouquet packages start at $250 & up for 1 bridal bouquet, 4 bridesmaid's bouquets, 6 boutonnieres , 2 mother of the bride/groom corsages. FREE Consultations in person or on line. We now have physical showroom in Bellmore, NY. 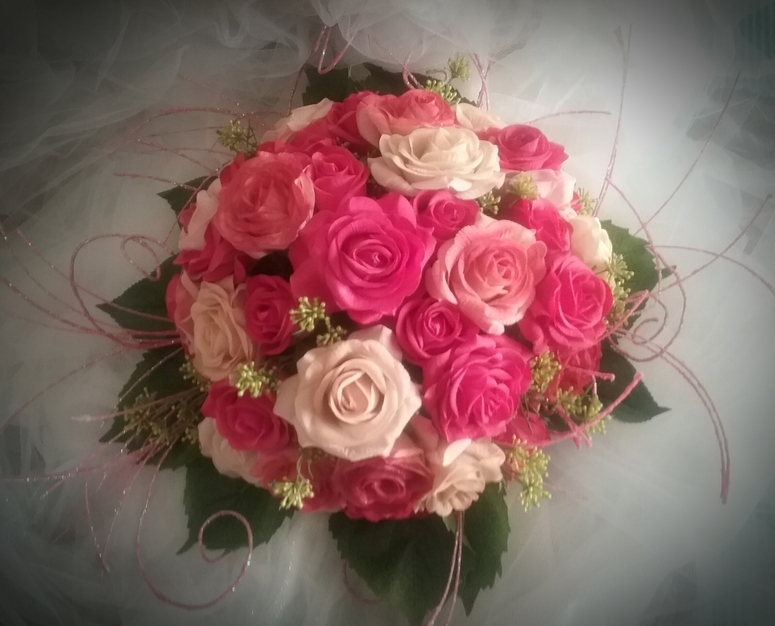 Come and see how beautiful our floral creations are. Call for your appointment today. 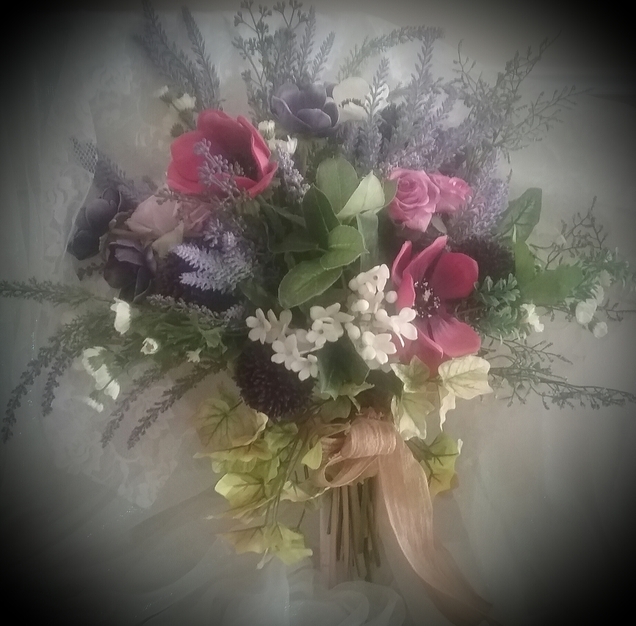 WANT FRESH FLOWERS....contact us and we can discuss a fantastic FRESH FLOWER deal for you too! 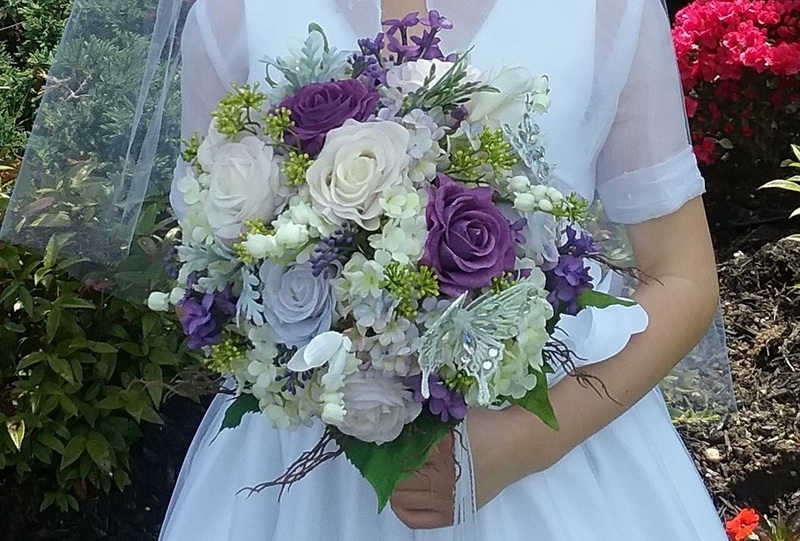 in association with "As You Wish Flowers"
She did a great job on my bouquet!!! 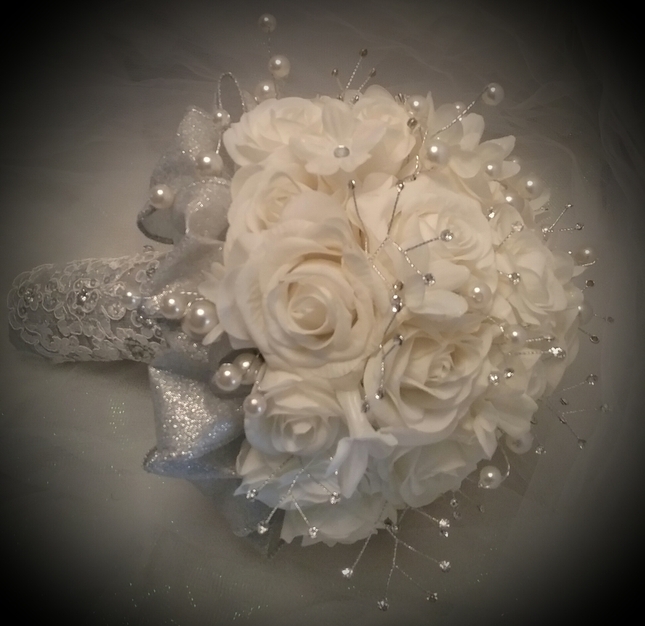 Complete bridal packages including bridesmaids bouquets, boutonnierres, corsages, flower girl basket and wands. Small centerpieces, bridal shower decor, fascinators and more.